Revoltec has a new range of gaming peripherals. I've already taken a look at their Gamepad Precision Advanced and Precision Pro mousepads and in this review I'm taking a closer look at their FightMouse Advanced. 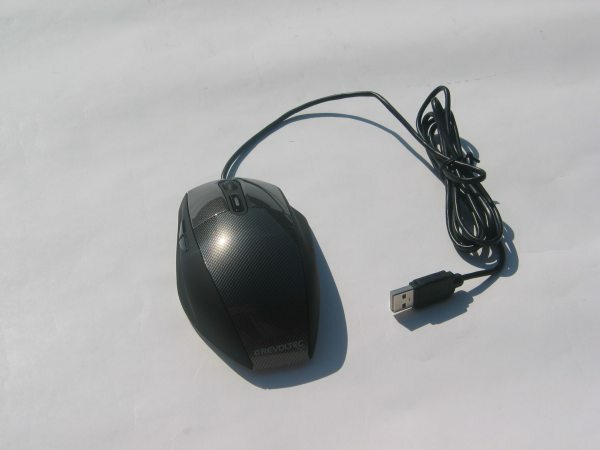 This is a mouse designed for gamers, it features a cool design, a blue illuminated bottom, a DPI switch and a set of weights to make the mouse heavier. 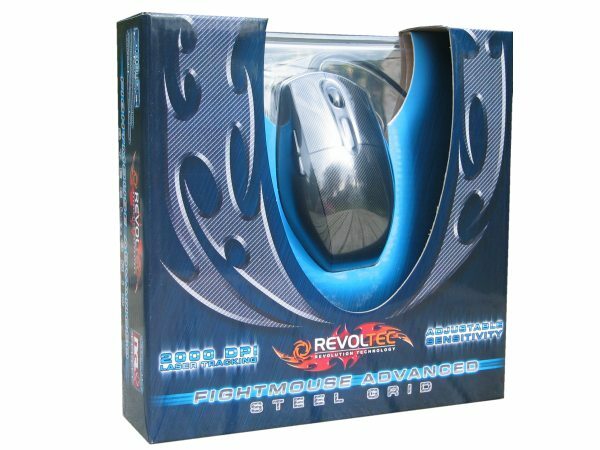 This is one of the first mice for gamers from Revoltec, this German brand is owned by a company called Listan which also makes the be quiet! power supplies. The mouse ships in a cardboard box with a translucent plastic window so you can see how it looks and how big it is when you see the product in a shop. 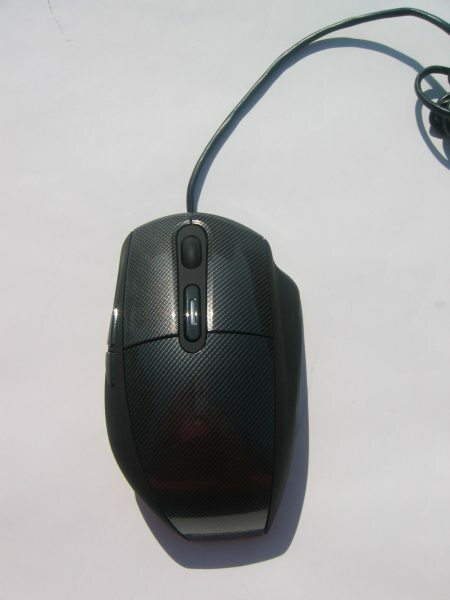 The top of the mouse has a carbon look and it's actually pretty reflective like you will see in some of the pictures. The cable of the FightMouse Advanced is pretty long, 2 meters should be enough for most users. The only way to connect it to your computer is to a USB port, but that shouldn't really be a problem as most modern PCs have more than enough USB ports. In the box I found a manual which explains how to install the mouse and software and how to use the software which you can find on the included CD. 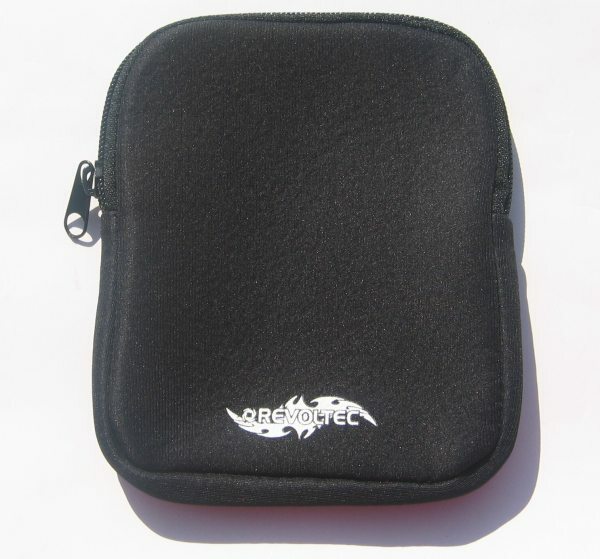 A nice touch from Revoltec is the included bag for your mouse. It feels pretty soft and should offer good protection for your mouse when going to a LAN party. The last item I found in the box where these three weights. 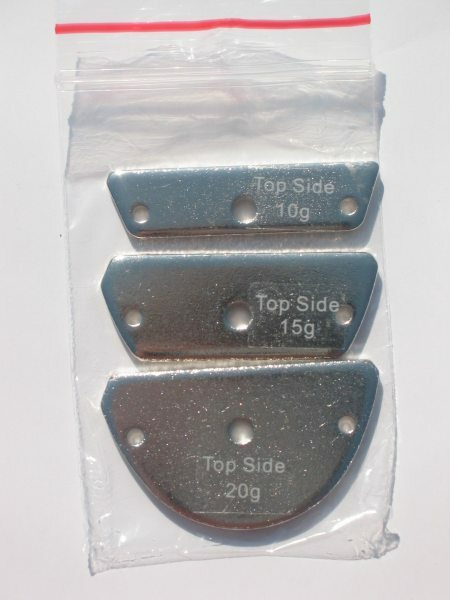 You can use them to make your mouse a bit heavier, some people find this can improve performance in games. 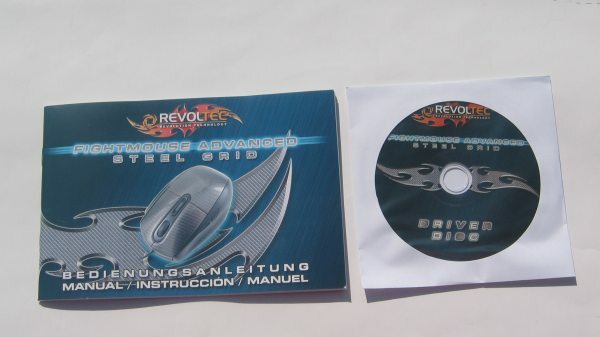 Revoltec included a 10g, 15g and 20g weight.